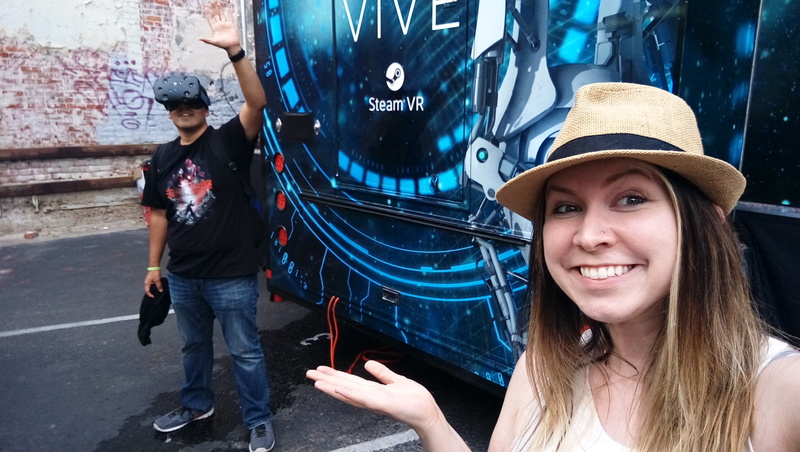 The HTC Vive Tour kicked off at Comic-Con in San Diego over the weekend and I had the opportunity to try my hand at virtual reality once again. 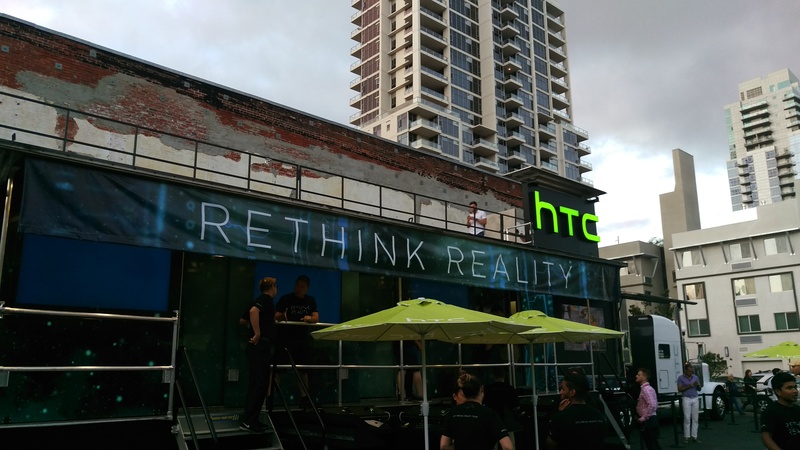 I first got to experience the HTC Vive a month ago at an exclusive event. The experience was brief but it made me more curious than ever to see what the Vive was truly capable of accomplishing. So when I received an invitation to try it out again, there was no way I was going to pass that up even if it meant a few hours on the road. My first experience was brief, due to some technical difficulties I only got a 3 to 4 minute demo. This time, thanks to Laura Kimball, I got the full experience. The Vive is made up of a headset that looks like scuba goggles. The exterior is pocked with laser sensors. The headset is quite bulky but surprisingly lightweight given its size, nothing like the football helmet that would give me headaches every hell week. The other great design consideration of the headgear is that there is plenty of room inside for those that wear corrective lenses. This time two wireless controllers were used, instead of the wired ones last month, and a couple of laser emitting boxes that help with spatial recognition by communicating with the the headset. Headphones are worn as well. Once you’re geared up the experience comes to life and the closest thing I can compare it to is a cross between The Matrix and Inception. You start in a dimly lit room, put the gear on, and then the virtual room comes to life. It is amazing experience from the get go. I went through a simple tutorial to get acclimated with the controllers, but that was fun all by itself. I had to inflate balloons, then I could punch them away. I could change colors and continue to punch away until I was ready to move on. Laura was an excellent host for my Vive experience. I know that is a pretty basic example, but it will get much better than that. HTC partnered with Valve on this device which almost assures that gaming will be at the forefront of the Vive experience. The virtual world that the Vive creates is completely interactive. The first demo scene was an underwater ocean experience. I saw a glimpse of it in June, but I got the full run this time and it was better than I could have imagined. Even the small schools of fish could be chased away as I swiped my hand at them. The shadows cast and the sea life that swim by look very realistic and cause you to pause and soak it in like you would a beautiful sunset. Something to keep in mind is that these are just demo programs at the moment. Just a few months back the developer editions were shipped and now we wait to see what games and programs will be created. The possibilities are practically endless. The HTC Vive does such an excellent job of putting you in the environment that you completely forget that you are standing in a room wearing the equipment. 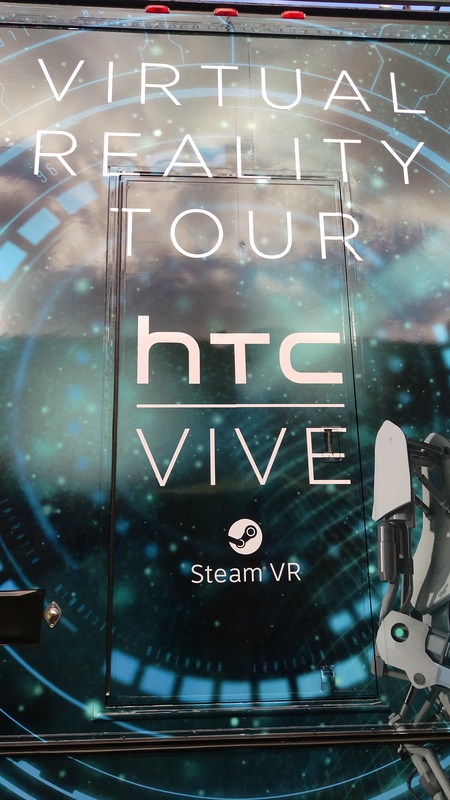 The HTC Vive Tour big rig will be touring the United States and Europe from July until October. I highly recommend the experience. The HTC Vive is a truly impressive device that will leave many clamoring for their own personal unit. I have not seen one person walk away from the demonstration that wasn’t completely awestruck by what they just experienced, just like I have each time with the HTC Vive. Check out my initial reactions below. Have you experienced virtual reality? What was your experience like? Will you be attending the Vive Tour? I’ll gladly answer any questions in the comments section or through social media. Thanks for stopping by!